This article explains basic information, prerequisite, weather condition changes, paths and checkpoints, "Reaping" Shadows, and layers of Mementos Dungeon. We will be updating this as we go along. 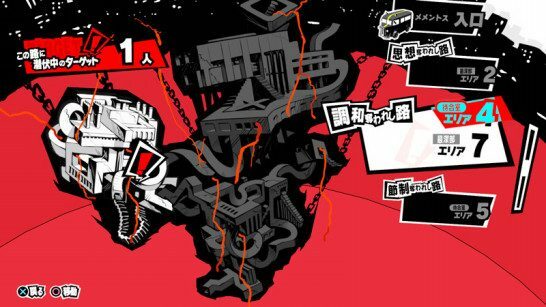 This article explains the Mementos Dungeon which includes the basic information, prerequisite, weather condition changes, paths and checkpoints, “Reaping” Shadows, and layers of Mementos. A massive dungeon, Mementos offers Free Missions to capture human hearts. Navigating inside the dungeon utilizes Morgana’s unique Bus transformation to provide convenient transportation from one section to the next. In the initial stages, it serves as a favorable map for grinding Exp, and as an avenue for initiating optional Missions outside of the Main one. The sections of the dungeon are divided as “paths,”* connected to each other through train tracks, while chains and bars cover the outer areas akin to a prison cell. Only two hierarchies are available during the first infiltration, however as you progress further in the Main Mission, you will soon discover more. It is likely that the Shadows that appear will depend on the hierarchies unlocked. As the date rolls over to 5/7, the Main Mission will require you to infiltrate the Dungeon for the first time. The second visit happens during Yuuki Mishima’s Kaito Request Channel*. Subsequent visits will then become voluntary after the second visit. Since specific weather conditions spread certain status ailments with some chance on the Shadows that inhabit the Mementos Dungeon, it is recommended to infiltrate the dungeon during favorable weather conditions. This puts the team in a good position while doing certain encounters, such as in the case of Boss fights. 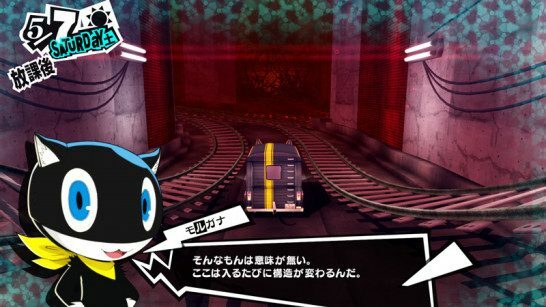 One of the unique features of Mementos Dungeon is that by staying in the same “area” for some time, you will eventually encounter “Reaping” Shadows. These enemies are more powerful variants, and during the encounter, it prohibits the team from fleeing. With stats being higher than the Last Boss’s, it is recommended to escape from the encounter before it even starts. A good indicator of when a “Reaping” Shadow is approaching is when “chain” sounds are heard from a distance. However, if you defeat them, it will reward you with a Trophy. *-Currently the terminologies used are rough translations.